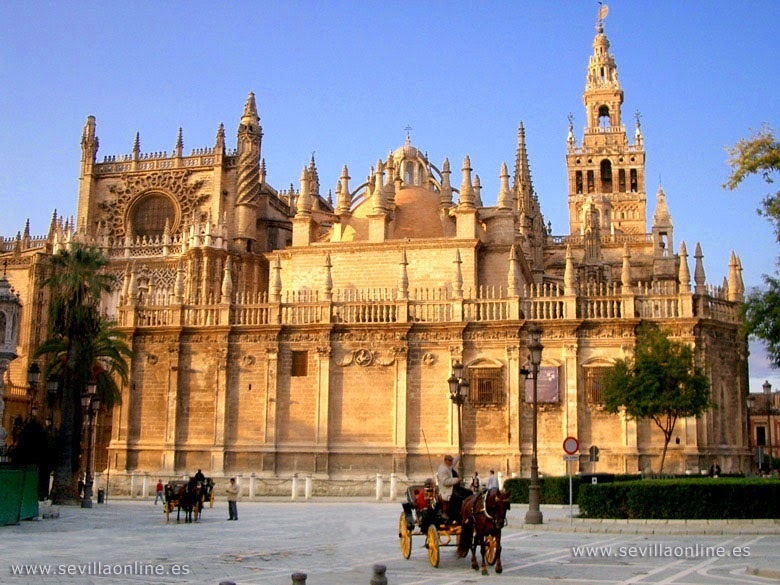 One of the most Spanish cities, if any, is the city of Seville. With its architecture combines Arabic and Christian styles and characterizes the Andalusian region. Sevilla is the city of festivals, tapas, flamenco and bullfighting, but also is a romantic and mysterious city. 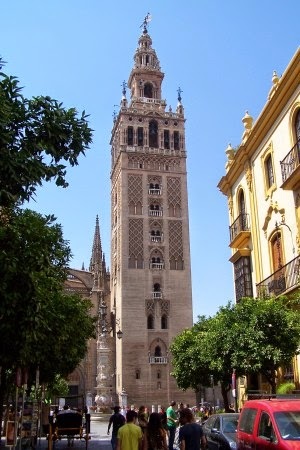 The Giralda tower is the most emblematic monument of Seville. It is the minaret of the old mosque over which the Cathedral was built. It was considered one of the tallest towers in the world. This Minaret was constructed by the arabs between and reaches a height of 76 metres. Let us build a church so big that those who see it will think us mad’, that is what the cathedral chapter decided in 1401 when the former mosque of Seville had to be knocked down. It is one of the last Spanish Gothic cathedrals, and the Renaissance style is already evident there. Its impressive size makes it the third largest in the Christian world, after Saint Peter’s in Vatican City and Saint Paul’s in London. Seville April Fair is a huge annual event on the extensive list of festivals taking place in the city. The fair officially begins on Monday at midnight, normally 2 weeks after Holy Week, and ends with a fireworks display the following Sunday, again, at midnight. As well as flamenco the other main themes of the party are horses and bullfighting in what is such a classic Spanish affair. Seeing the local girls at the Fair in their colorful flamenco dresses it is easy to understand his attraction.